The large majority of League of Legends takes place on Summoner's Rift and is ultimately a siege based game. Over the years Riot has tried it's hand at a few other game modes, a big one being Dominion, a king of the hill style game mode. Riot even has a board game, ​Mechs vs. Minions, but they have never tried any sort of capture the flag mode, despite there being a ton of mobility based champions. If I hear one more person say "League of Legends is like capture the flag" I'm going to get @esportslaw to revoke your esports cred legally. 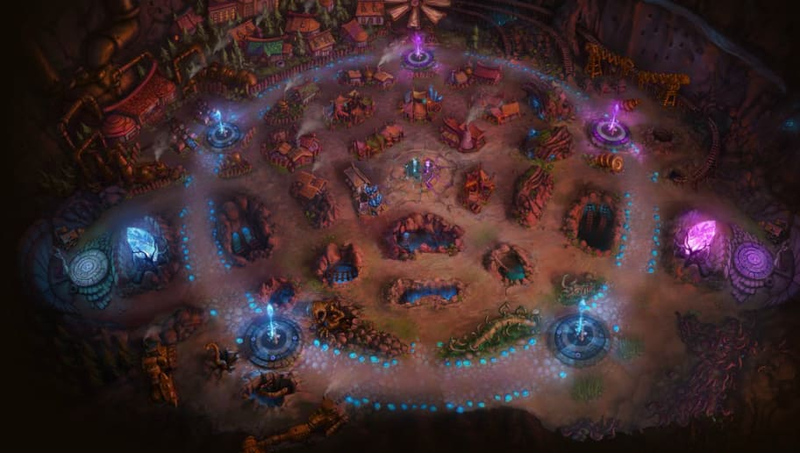 Summoner's Rift is probably too big for a capture the flag mode but 5-v-5 on Twisted Treeline could make for an action packed game. The flags could either replace the altars or each team could be allowed up to a minute at the start of the game to place their flag anywhere on their side of the map. Turrets would be disabled and there would be a best-of-three game style. The first team to successfully return a flag would signal the end of a round and the teams would then switch sides and go at it again until one team had two victories. If Riot wanted to make things more interesting they could even allow teams to change champions in between rounds in order to allow for adjustments on the fly. To successfully return a flag, a champion would have to steal the enemy flag and make it back to the fountain without being killed. Riot Games would have to lower the spawn timers so that players would be able to contest. Certain high mobility champions, Shaco for example, may also prove to be too powerful for this game mode and could either be disabled or Riot Games could make them drop the flag when they use and ability move, similar to the capture the flag mode in Overwatch. There are a ton of different ways to try out a capture the flag mode and with how much positive feedback other game modes like U.R.F. have gotten, Riot should definitely continue to try different game styles. In other League of Legends news, ​Pyke, the new support champion, has been revealed, ​FC Shalke 04 will be leaving the EU LCS after the summer split, and ​huge marksman changes are on the way.